A STEP IN THE RIGHT DIRECTION!!! 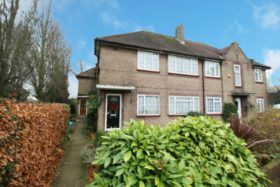 Mischa & Co are proud to offer to you a fantastic opportunity to purchase a well maintained three bedroom EXTENDED semi-detached house in South Ruislip. 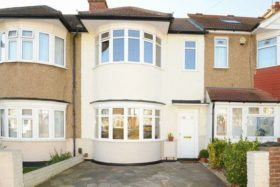 Offering a porch entrance leading to hallway, stairs to first floor with a modern fitted bathroom suite three bedrooms.  Ground floor offering a spacious living/dining room with connecting doors to the extended kitchen/diner, spacious garden with a patio area and laid lawn with flower beds and garage towards the rear of the property accessible via a shared drive. 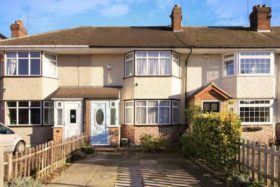 This family home is situated within walking distance to South Ruislip underground station (Central Line & Chiltern Railway Overground). Additionally there are Metropolitan and Piccadilly connections at Ruislip Manor and also offers fantastic links to the A40/A406 and other major road networks including M40/M25. Being Sold CHAIN FREE, CALL NOW!!! Front aspect double glazed door, hard wood floor, radiator, coved ceiling, spotlight ceiling, side aspect double glazed frosted window, under stairs cupboard housing gas and electric meter, and fuse box. 26‘ 6" x 10‘ 8" (8.08m x 3.25m) Front aspect double glazed bay window, radiator, television point, power point, hard wood floor, coved ceiling. 17‘ 9" x 14‘ 8" (5.41m x 4.47m) narrowing to 9‘ 2" Rear and side aspect double glazed window, rear aspect double glazed door leading to garden, range of wall mounted and base level units, space for fridge freezer, plumbing for washing machine, radiator, electric oven in under housing, gas hob mounted into work top, stainless steel canopy extractor fan, spotlight ceiling, coved ceiling. Walk in shower cubicle with electric shower, low level WC, hand wash pedestal basin mounted into vanity unit, towel rail radiator, fully tiled walls and floor, extractor fan. Wall mounted combi boiler, plumbing for washer/dryer, fully tiled floor, part tiled walls, coved ceiling, spotlight ceiling. Side aspect double glazed frosted window, coved ceiling, spotlight ceiling, hard wood floor. 13‘ 10" x 10‘ 10" (4.22m x 3.30m) Front aspect double glazed window, radiator, telephone point, television point, power points, hard wood floor, coved ceiling. 12‘ 8" x 10‘ 11" (3.86m x 3.33m) Rear aspect double glazed window, radiator, power point, coved ceiling, hard wood floor, television point. 10‘ 2" x 6‘ 9" (3.10m x 2.06m) Front aspect double glazed window, radiator, power point, coved ceiling, hard wood floor. Side aspect double glazed frosted window, panel enclosed bath with shower attachment, low level wc, hand wash pedestal basin mounted into vanity unit, towel rail radiator, fully tiled walls and floor, extractor fan, spotlight ceiling. Paved area, off street parking for 2 cars. Paved area, mainly laid to lawn, flower beds, shrubs and trees. Access via shared drive, up and over door, general storage area.